API Heat Transfer is one of the largest full service producers of industrial heat exchangers and heat transfer systems in the world. The Airtech brand is one of a family of brands well respected in the industry for their innovative design, exceptional performance and reliable service. 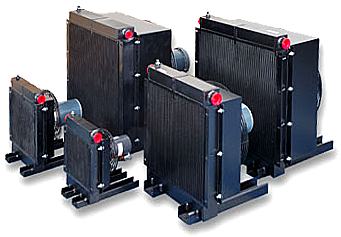 The line of Airtech Air Cooled Heat Exchangers provides a standardized and reliable solution for compressed air cooling requirements. These compact, high-efficiency Aftercoolers can be the perfect answer for applications where cooling water is unavailable or impractical.